Husband and wife team, Malcolm and MaryAnn Owen, are makers of jewelry and Judaica, as well as functional pieces for home and office. 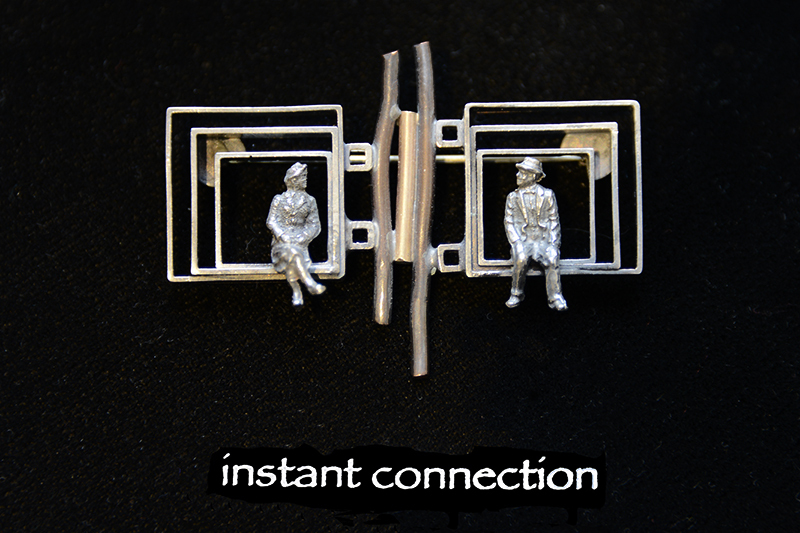 While their work is collaborative, each partner also makes one of a kind pieces. MaryAnn makes jewelry and small sculptures, Malcolm makes large sculptures and decorative pieces. The Owen’s fabricate their pieces from copper, brass and sterling silver using tried and true hand forming methods. 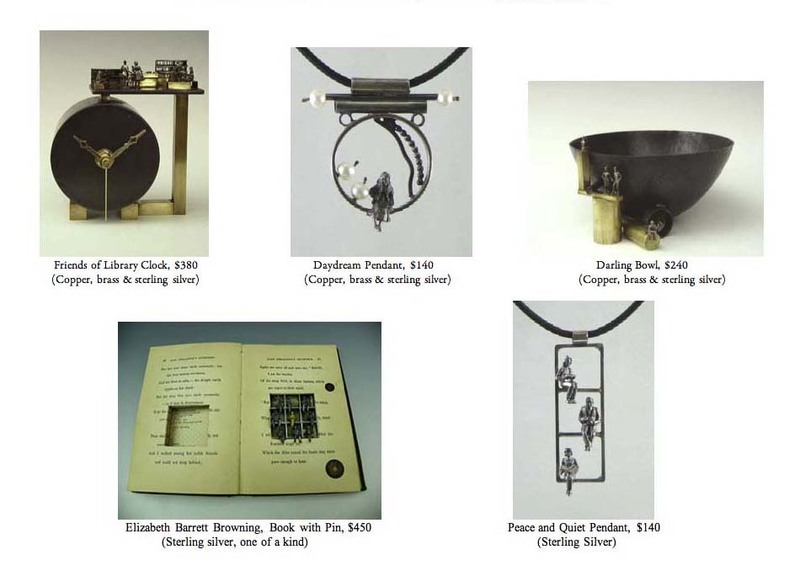 We were especially drawn to their “Library Series” where they feature 3/4 inch sterling silver figures”reading” while perched atop a clock, swinging in a pair of earrings or nestled inside an altered edition of ‘Elizabeth Barrett Browning’. If you have a lover of books in your life, one of the Owen’s pieces could be the perfect Valentine.